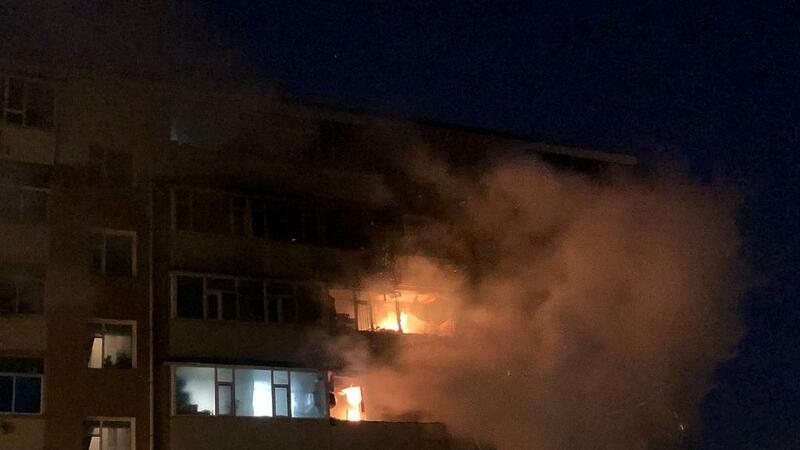 BEIJING, Jan. 31 (CGTN) -- Eight people were killed and three others injured in a gas leak that caused a fire and an explosion at a residential apartment in Changchun City, northeast China's Jilin Province, on Wednesday, according to officials. The fire department was alerted to the fire and blast at 5:35 a.m BJT. Firefighters, police and ambulances rushed to the scene. The preliminary investigation shows that the incident was caused by the improper use of gas by residents. Further investigation is underway.